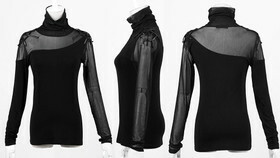 Noble style, asymmetric longsleeve shirt by Punk Rave. Stretchy t-shirt fabric with transparent mesh contrasts. 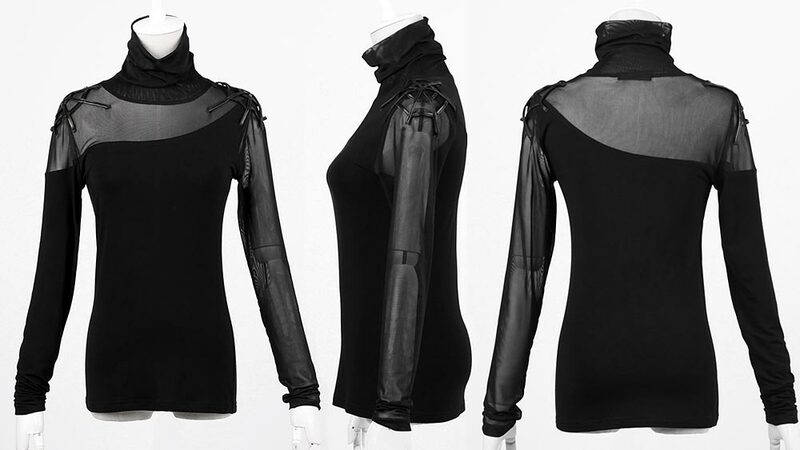 Noble style, asymmetric longsleeve shirt by Punk Rave. Stretchy t-shirt fabric with transparent mesh contrasts. Shiny shoulder details; turtle neck.